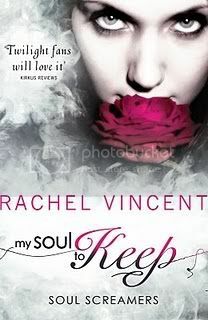 Today, I'm fortunate enough to be taking part in the My Soul to Take by Rachel Vincent Blog Tour! Rachel was kind enough to answer a few questions about the series for me. Can you tell us a little bit about the three main characters, Kaylee, Nash and Tod? Nash is a senior in her school. He’s popular and rumoured to be quite experienced with girls. But he knows what’s really wrong with Kaylee, and he’s willing to be honest with her when no one else seems to be. You’ve said in the past that you only write about paranormal creatures if you feel you can bring something new to the mythology. So why bean sidhes, and what’s different about your bean sidhes compared to others? 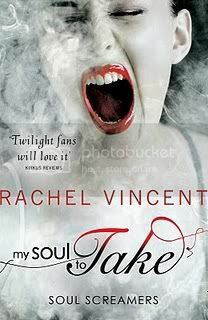 In the US, you have now released four Soul Screamers novels; My Soul to Take, My Soul to Save, My Soul to Keep and My Soul to Steal. What have you enjoyed about writing YA over adult novels, and which book in the series has been your favourite to write so far? The thing I love about writing YA is that—because teenagers feel everything so intensely (I know I did! )—there are no wasted moments in a YA novel. Every single glance means something. Every touch is monumental. You can do a lot more with a crush and sexual tension in a YA novel than you can do with most fully intimate scenes in an adult novel. It’s very liberating, and very exciting. So far, My Soul To Steal was the most fun to write. Sabine (new character) is dynamite on the page. Especially the scenes she shares with Kaylee. You also have two free prequels, My Soul to Lose and Reaper. Can you tell us a little about them and why you wrote them? MSTLose was intended as a free sample of the Soul Screamers world-building and of my writing, to get people interested in the series. It tells about the time Kaylee was institutionalized for her “panic attacks.” And because of the hospital setting, it took way more research than any of the novels have. “Reaper,” was in response to readers begging for more of Tod—my chance to tell how he died and became a reaper. It was intended as a sort of free gift to the series readers. It can be read before the rest of the novels (chronologically, it came first) but it has more impact after the third novel in the series. The UK Soul Screamers covers are very different to the US ones. Do you like them? Which do you prefer? N.B: You can find the French covers here, here and here. You can find the US covers on Rachel's website. The rest of the UK covers are below. Thank you for the wonderful interview, Rachel! My Soul to Take was released on 1st January 2011. 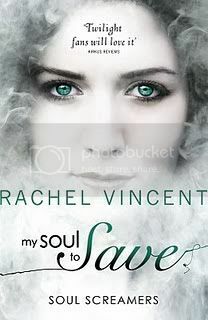 Be sure to check out Rachel's website, and check out my reviews of My Soul to Lose, My Soul to Take, and My Soul to Save. Mira Ink's brand new website has just gone live, so make sure you check it out for the great new YA releases that will be out this year! ncie interview, soul screamers sounds interisting! 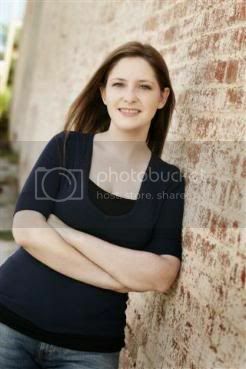 Thank you for the interview with Rachel & much thanks to Rachel for taking the time to share here. I love her UK covers too, but all her covers have been excellent. (Reflective of the excellent stories within). Mahesh - Thank you! Soul Screamers really is a great series! RK Charron - Thanks, glad you liked it! :) Rachel does seem to be pretty lucky in the covers depeartment! They are always so awesome!